Feb. 21, 2016: Mark Zuckerberg enters an auditorium full of Oculus VR users during the Samsung Galaxy Unpacked 2016 event in Barcelona. This September, yet another patent was approved for Kitchener, Ont.-based Thalmic Labs’ top-secret “wearable heads-up display with integrated eye tracker.” Now there are rumours of a possible pre-Christmas product launch. Anyone familiar with the Google Glass fiasco will likely roll their eyes at this news. Or maybe their eyes will pop out of their heads in excitement. Either way, the eyes have it. For Google Glass, it was neither the eyes nor the “ayes” but the “nays” that had it: The Google goggles were voted down by the so-called Google Glass Explorers, early adopters who paid US$1,500 for the wearable and subsequently trashed it. One Explorer called it “the worst product of all time,” and it wasn’t long before the colourful term “glasshole” inspired a sub-genre of vindictive memes. What’s worse, some Glass wearers reported cases of physical and verbal abuse. Google has humbly reimagined its glasses, targeting enterprise users. The new product is more likely to be spotted on stock clerks in suburban warehouses rather than on hipsters downtown. The Glass naysayers were not violently lashing out like sledgehammer-wielding Luddites. For the most part, they were simply responding to bad design, and more importantly, they were expressing shared values about how far they were willing to let technology infiltrate their lives. There is no need to mystify the event. Matthew Bailey, left, co-founder of Thalmic Labs Inc. and company vice president, works with fellow co-founder and CEO Stephen Lake in 2013. Thalmic Labs claims it has learned from Google’s mistakes. For one thing, the patent asserts that the “fashion appeal” of their wearable will put to shame the “bulkier and less stylish” design of Google Glass and similar offerings from Sony and Epson. But it’s a brazen move to gamble on fashion in the face of more pertinent problems. Most importantly, Thalmic will have to deal with the nagging issue of trust. And in this case, the eyes really do have it. More than anything, the failure of Google Glass had to do with eyes. Where are they focused? Who are they looking at? What are they recording? If you are having a conversation with your partner and they look down at their cellphone, you know you have momentarily lost a portion of their attention. Similarly, if someone holds an iPhone aloft and points it at the stage during a performance of King Lear, you know they’re recording the show. The same obvious visual cues do not apply to the wearer of a heads-up display, who perhaps rightly should be viewed with suspicion. It’s unclear whether Thalmic has considered this problem while designing its new product, but there are early indicators they are wary of worrywarts, those who will refuse to dwell amongst prosthetically enhanced startup geeks. “Are we plunged into a different, digital world where we lose touch with real human interaction?” Thalmic Labs co-founder Steven Lake asks in an article for Information Age. “Likely not, but the fears are understandable.” How this sensitivity will be built into the glasses remains to be seen. In the meantime, the order of the day seems to be for the product to not be seen at all. The flick of a wrist comment is an obvious gesture toward Thalmic’s flagship Myo armband, which enables simple hand gestures to control an interface. But the blink of an eye belongs to an entirely different category, one with roots in myth and magic. Like techno gods, we will “summon and dismiss technology to suit our will.” I can’t help but picture Mickey Mouse in a wizard hat, deluged by maniacal, phallic broomsticks with newly sprouted arms, sloshing buckets of water. That could be the techlasher in me coming out. Or maybe it could be that I’ve heard this story before. The all-too-common narrative of technological mastery should always be greeted with mistrust. For one thing, it leaves out the possibility of unintended consequences. For another, it ignores the friction to be overcome when trying to fit a technological prosthesis to something infinitely variable such as a human body. If tech companies want to avoid the techlash, they might start taking instruction from grassroots projects that are less sleek than the magical products designed to be held in our hands and worn on our faces. Feb. 24, 1998: Artist-inventor-engineer Steve Mann models a head-mounted computer at the Ontario Science Centre. My first encounter with a wearable heads-up display was when I met Steve Mann at Toronto’s Digifest in 2004. I was there to do research for a post-9/11 project that had me recording illicit footage of the Detroit-Windsor tunnel with a head-mounted camera. Mr. Mann, coiner of the term “sousveillance,” had been wearing a heads-up display for many years by then, as part of his self-sacrificial mission to understand the cyborg future of humanity. As the long, lanky and affable Mr. Mann shook my hand, his eye drifted up to a tiny display that beamed images at his retina. A camera lens directly over the other eye peered down at me, and I couldn’t tell if it was recording or broadcasting our discussion for Mr. Mann’s glog (cyborg log). But in this situation, I didn’t mind the intrusion; I was glad to be part of the spectacle that Mr. Mann called EyeTap. “To the limits of physicality,” Mr. Mann signed in my copy of his book, Cyborg: Digital Destiny and Human Possibility in the Age of the Wearable Computer. There is a curious double entendre in this dedication. Did he mean to say “let’s embrace our limits” or something more along the lines of “to infinity and beyond”? Knowing that Mr. Mann is a self-titled “cyborg-Luddite,” my guess is that the inscription has more to do with humility than it does with techno-hubris. Whatever the case may be, I left that encounter trying to imagine a world of Steve Manns tripping over carpet fringe in the hallway and losing the thread of a conversation, their eyes drifting dreamily away from mine. These problems might be solved if humans develop monocular vision and manage, like chameleons, to process images from each eye independently. But until then, we will have to deal with the limits of physicality. Besides, I’m legally blind in one eye, so smart glasses would likely pose a serious health hazard. At the time I met Mr. Mann, I was teaching Electronic Critique at the University of Detroit Mercy, where I had students use bulky eye-tracking technology to graph the movement of their eyes as they looked at a website with pop-up ads. A few years later, I marvelled at Graffiti Research Lab’s (GRL) hack of this technology. At the 2009 CAFKA public art festival, GRL’s laser-beaming “EyeWriter” glasses allowed participants to draw graffiti on the outdoor surface of Kitchener City Hall by simply moving their eyes. The same project enabled California graffiti artist Tempt1, who was paralyzed by ALS, to pursue his edgy artwork with lasers rather than spray paint. This ingenious fusion of high tech and crip art, which is an ingenious response to a verifiable need, demonstrates tech innovation at its best. But it will take more than a few grassroots hacker projects to quell the so-called techlash, which is as much a response to specific technologies as it is a creeping deficit of public trust in powerful tech companies. 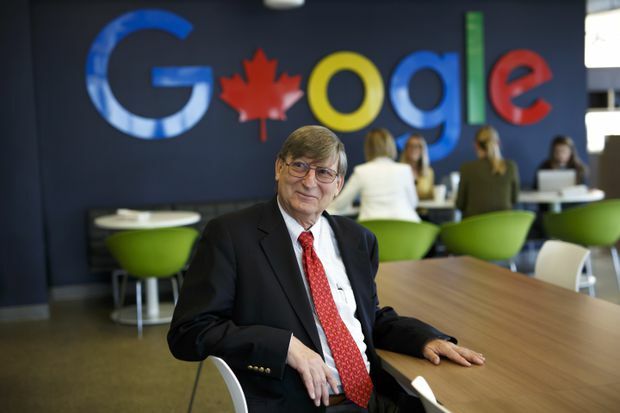 Hal Varian, Google's chief economist, visits the tech giant's Toronto office. He is undeterred by the risk of "techlash, like backlash against technology." During a recent visit to Toronto, Google’s Hal Varian was asked by Tara Deschamps about the greatest challenge facing the tech sector. His answer? “Techlash, like backlash against technology.” Not surprisingly, the Google economist is undaunted by this inconvenience. “Technology is changing quickly,” he said, “and things are happening and so there is a certain amount of anxiety, but I do believe that will be overcome as people learn the value of tech.” The rhetoric of this statement should be unpacked with care. Even people who understand “the value of tech” may want to be looked in the eye when spoken to or avoid being secretly recorded during a conversation. This is not a question of technological anxiety. It’s a question of mutual respect, moral values and personal rights. But Mr. Varian was not talking about Google Glass refuseniks. It is more likely that he was tiptoeing around more recent anxieties related to the Cambridge Analytica scandal, fake news from Russia, digital addictions, iPad babies and teen depression caused by social media. Then there is the spectre of an antitrust case. Given the obscene reach of Google’s kingdom, on a throne it shares with Facebook and Amazon, the threat is real. “Don’t think that crown will help whichever of you is wearing it when the music stops,” Eve Smith warns in a biting “Memo to Big Tech” that appeared in The Economist. Perhaps the king is projecting his own technological anxieties onto his subjects. To brush off the public’s reaction to these issues as an anxiety to “be overcome” is nothing less than a paternalistic entreaty for us to turn a blind eye and trust in the tech powers that be. To label these pressing concerns as some sort of irrational techlash is to wipe them of their moral, ethical and civic motivations. We do not have a techlash problem; we have a tech problem. More specifically, we have a raft of environmental, psychological, political and personal problems exacerbated by technology designed and/or implemented without sufficient care by people who are losing the public’s trust. Put otherwise, according to the mantra of acclaimed techlash guru Tristan Harris, “the technology we create is not neutral.” For example, it is not bad to develop a software application that identifies the location of songbirds based on their unique sounds. But if a seek-and-destroy drone is equipped with that bird-finding software, then it would be hard to call this innovation “neutral.” Of course, technology goes bad in more subtle and unexpected ways than this, but when it does, responding to the problem should be called “critical thinking” or “civic responsibility” rather than techlash. 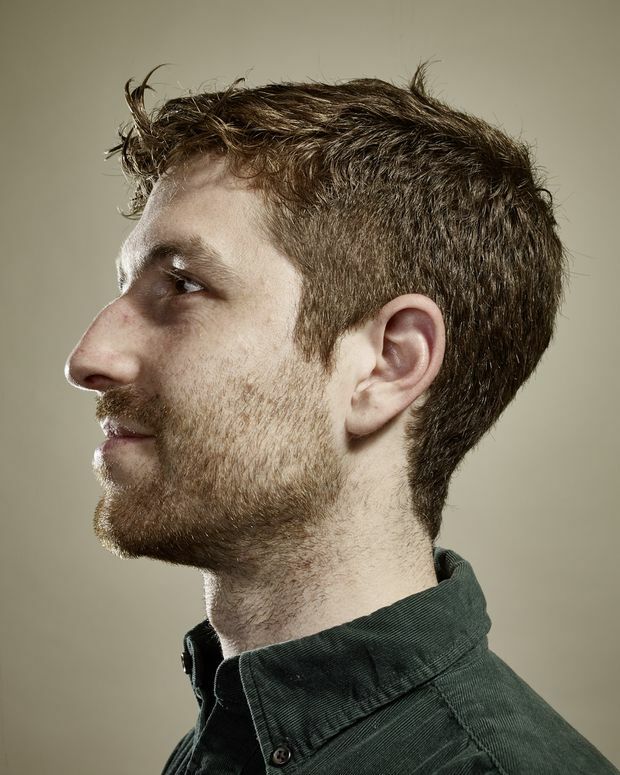 Tristan Harris, a former Google product manager, now leads initiatives challenging the types of technology he once helped create. Mr. McLuhan called this “the voice of the current somnambulism,” a rejoinder that could just as easily be pointed at Mr. Varian. That said, there is nothing sleepy about a high-ranking tech executive who points a finger at techlash as an obstruction of innovation. This is a calculated accusation. In fact, what the kings of Silicon Valley really want is the somnambulation of its consumer base. A sleepwalking consumer is the best consumer. The tech philosopher Langdon Winner picks up where McLuhan left off by presenting a more developed theory of “technological somnambulism.” In Mr. Winner’s formulation, technologies are developed faster than we can possibly understand their full implications, and as long as consumers attempt to keep in step with the ever-accelerating march of innovation, they “willingly sleepwalk through the process of reconstituting the conditions of human existence.” So-called techlash might well be an indication that the somnambulists are waking up. I’m sure Thalmic Labs doesn’t expect its new wearable to produce a clumsy army of horn-rimmed zombies who bootleg plays at the Stratford Festival and spy on the technologically disenfranchised. But at least that bleak outlook is less horrifying than one in which the public puts its blind trust in the tech industry, sometimes quite literally, as in a recent photo of Mark Zuckerberg strolling smugly down an aisle past row upon row of human drones with their eyes hidden behind Oculus VR goggles. I’d rather put my trust in Thalmic Labs, thank you very much. Hopefully, if nothing else, Thalmic has learned from Silicon Valley that no consumer technology, not even smart glasses, should make spectacles of its users.